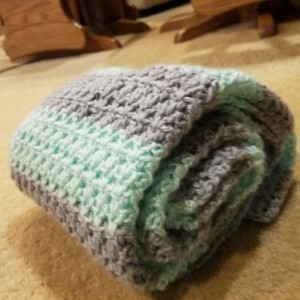 This is a wonderfully soft and cuddly baby blanket. 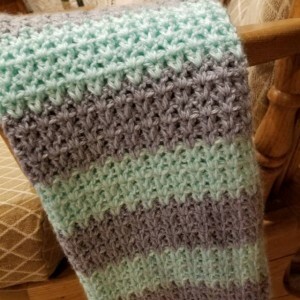 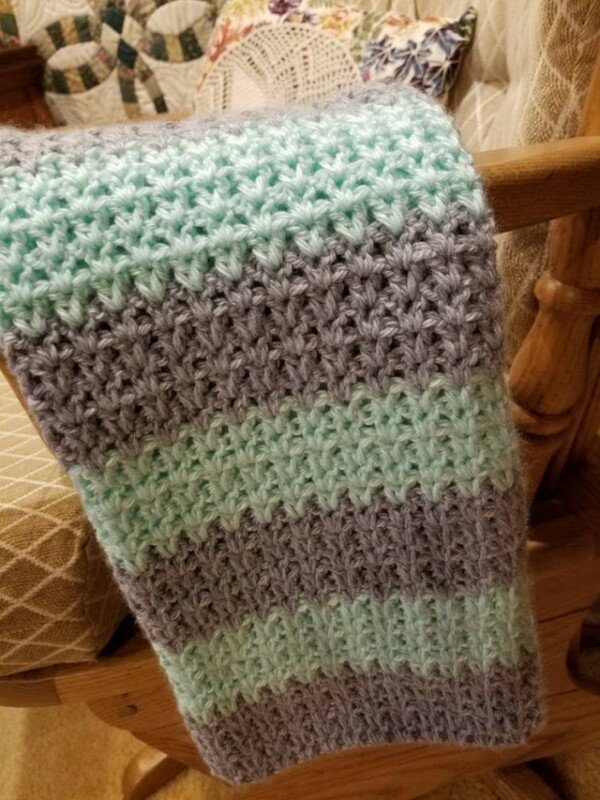 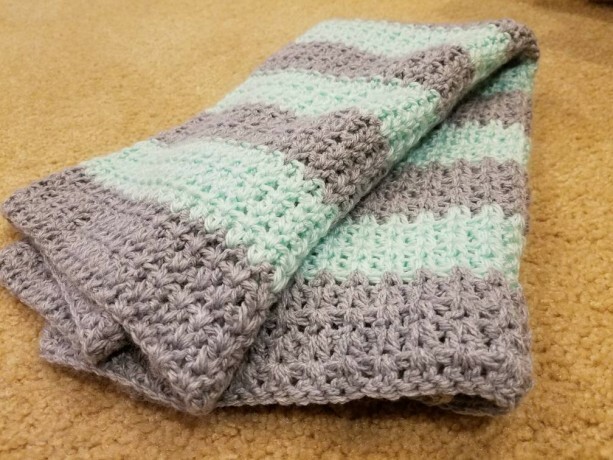 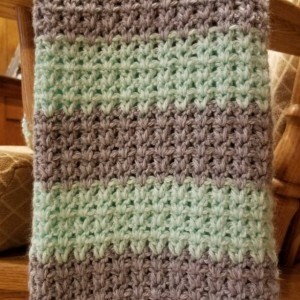 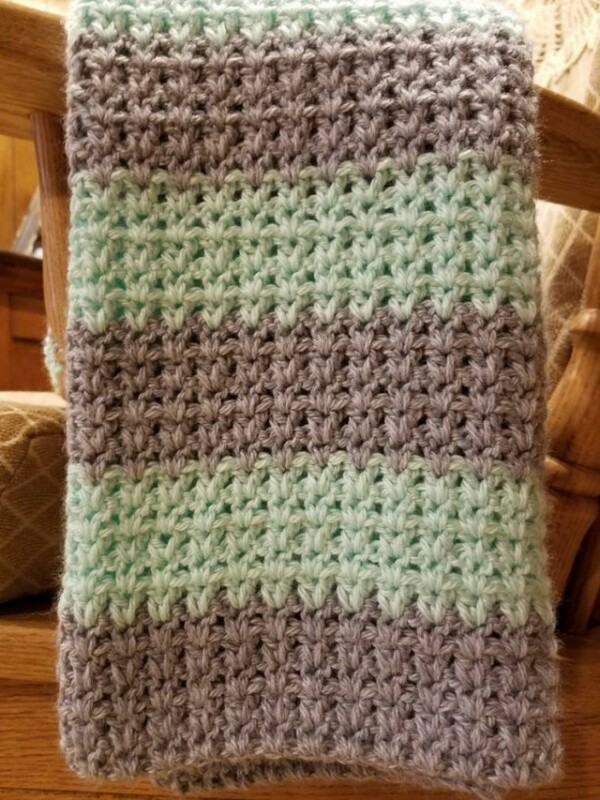 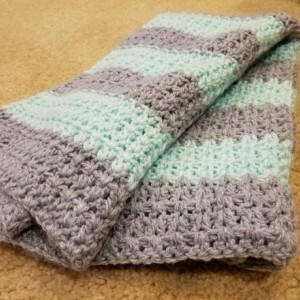 It is made with of a beautiful ccombinationof grey and mint green yarns. 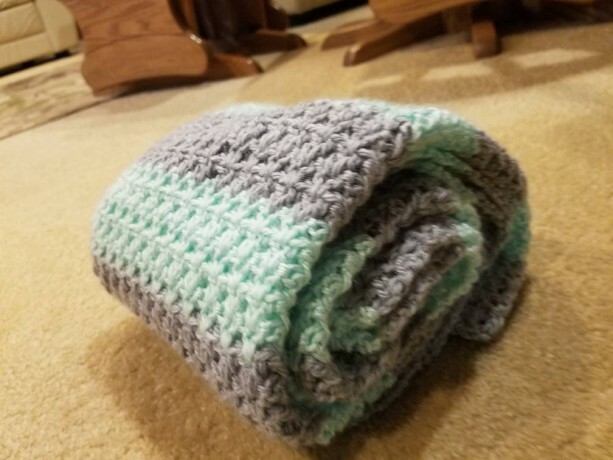 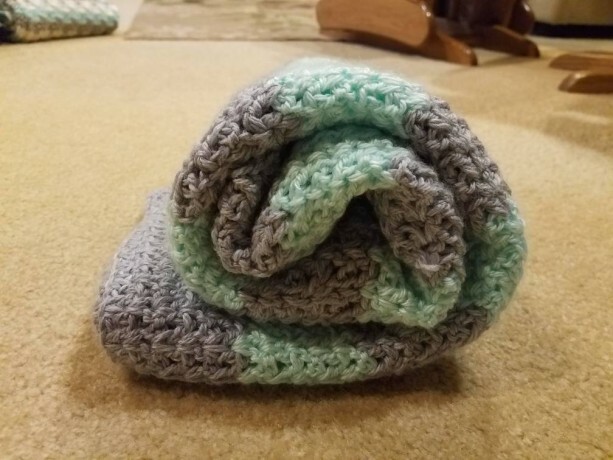 It would be perfect for a newborn or one that is older. 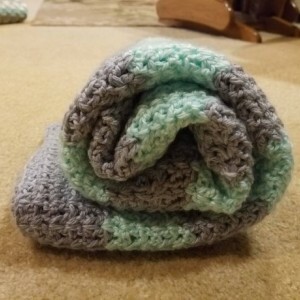 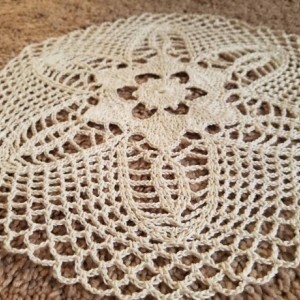 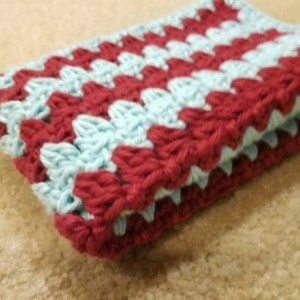 It was made with acrylic yarn and measures 28 1/2 inches by 28 1/2 inches.